Most everyone has heard about hypertension or high blood pressure. If you do not have it, chances are you know someone who does. One out of every three American adults has or will be diagnosed with high blood pressure in the last year. The scary part is that more than half of those who have been diagnosed do not have their blood pressure under control. Scarier still, those who ignore their high blood pressure have a greater risk for developing heart disease, stroke, kidney failure, liver disease or other major medical complications. If you have no idea what your ideal blood pressure should be, remember the numbers 120 over 80, as that is the optimum level. Any variation of that number, such as 130 through 139 over 85 through 89 is still considered normal but with those numbers your doctor will probably tell you that you are on the border, often referred to as "pre-hypertensive." If one of your close relatives such as a parent, sibling(s), grandparent(s), aunt(s) and/or uncle(s) has or has had high blood pressure, your risk for developing it is increased. If you are not sure, ask a family member who in the family, if ever, had been stricken by heart attack, stroke, kidney disease, diabetes or any other major medical complication. Chances are they too had high blood pressure, which means your chance of acquiring it goes up, as medical histories are known to repeat. Age and gender are also factors contributing to high blood pressure. Statistics show that beginning at age 65, women are at higher risk than men. Younger men, however, under age 45, are significantly more affected by high blood pressure than women in that same age group. If your doctor tells you that you are “pre-hypertensive,” that should be like a huge stop sign. Stop and think. This is the time to take stock of your life, your daily routine and habits because, at this point, you are at risk. Talk to your doctor as he or she can best help you with starting a new lifestyle regimen by offering suggestions. Your primary care physician knows your strengths and your weaknesses and your limitations, if any. In any case, a hypertension diagnosis should always be treated with respect. 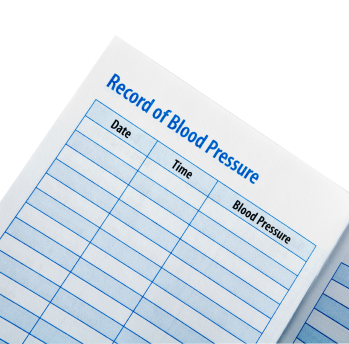 Once you have learned that your blood pressure is out of control it is time to begin monitoring your daily activities and your blood pressure numbers. The best preventive care that you can do for yourself is to learn about high blood pressure and the factors that put you at risk.